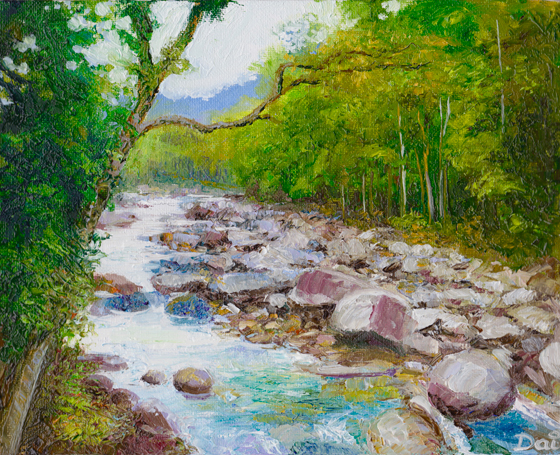 Oil painting by Dai Wynn of the boulder-strewn gorge of the Mossman River in Far North Queensland. This popular tourist destination is well managed by the local indigenous people and features some superb walks through rainforest. Oils on canvas panel. 20.3 cm high by 25.4 cm wide by 0.3 cm deep approximately. Liberal use has been made of a palette knife, lending copious texture to the artwork’s surface.